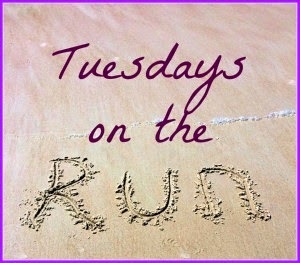 Today I'm joining April, from Run the Great Wide Somewhere, Patty, from My No-Guilt Life, and Erika, from MCM Mama Runs for Tuesday's on the Run Linkup! This week's topic is favorite running apps. I used to keep track of my runs in a notebook. But that got old real quick. I then discovered Daily Mile. For over a year now I've been entering my runs there, and they keep it all calculated and sorted out for me. I love seeing how my running compares to a year ago, and even a week ago. I got to TN last week, and you can see this has been my best mileage week in 6 weeks! I actually looked back even farther, and I haven't ran that many miles in one week, in almost a year! During my outdoor runs, I use the Runkeeper app. (Wanna be friends? My username is fromicecreamtomarathon) Of course I can't use that inside on the treadmill, which I'm on a lot. And then I also have a Garmin FR10 that I wear outside as well. I honestly just use that to keep track of my pace. I know it's only been 10 days, but I can already feel this weight loss, and I think maybe I can even see a tiny baby muscle. Maybe. What's your favorite fitness app? I love it too. I wish it would work indoors though! My favorite app is Garmin Connect. Since I own 2 Garmin devices it's nice that they are all linked together in the same place. My other favorites are MyFitnessPal & BurnThis. That is really nice that all the info from your Garmin's can go into the same place. I have a MFP account, and used to use it! It really helped me think about what I was eating. I should use it again! Are you headed to the GUN SHOW! :) BAM! Go lady!!! I use RunKeeper and Charity Miles for running outside. I also really like MyFitnessPal and the Fitbit app. I have a Garmin that I usually use for races...so I am all over the place! Great work on the 6 lbs! It seems like you are really enjoying your getaway. Sounds like you use as many apps as I do! I don't have a Fitbit, but I also have a Jawbone. I like keeping up with everything! Thanks girl! Girl, you are killing it! So impressed with all you've accomplished just in the last week! 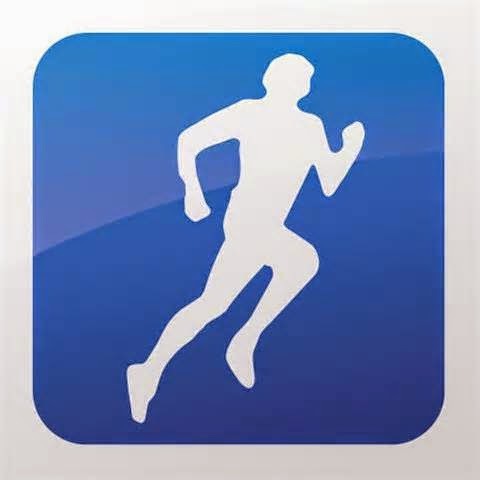 I use Daily Mile, which I like because I can enter in all different kinds of workouts, not just running. I also use Nike+ to keep track of my shoe mileage! LOVE the baby muscle! I think getting muscle mass for women is SO hard. I'm really hoping to focus more on strength training when I get this marathon over and done with. I love Daily Mile too. The only other app I use a ton is My Fitness Pal. Gotta track that food! I have no idea!! So glad you fixed that!! I have a fitbit and it uploads what I do wirelessly and I like what I can track on it's website. I also use an app called waterlogged that tracks my water intake and I consider that a fitness app. I also have a Tabata timer app on my phone for when I want to do a quick Tabata exercise routine. I see that muscle!! I also use RunKeeper. I love how I'm able to keep track of all different types of cardio activities with it. I love that about RK too, you can put any kind of exercise in there, not just running! 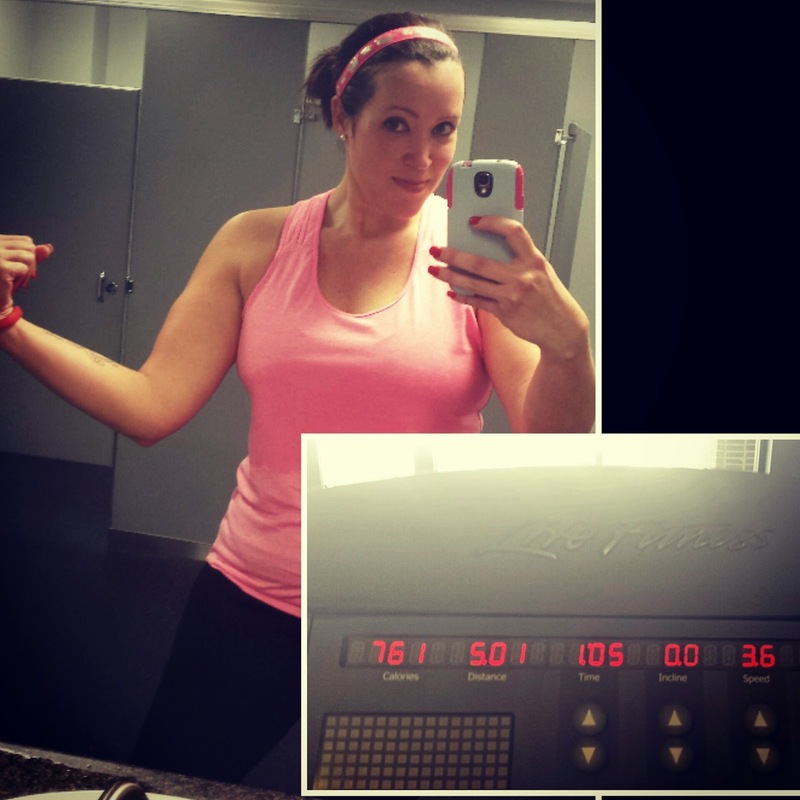 I use my Garmin to track my runs but I do put them on Daily Mile so they can upload to my blog. Very good apps. I haven't used a running app much. I do use a Garmin when I go out on certain runs and love downloading it to look at the stats. Although I do use my fitbit app quite frequently and probably not so much for running, just over all daily steps and mileage:) But apps are kinda fun, they can motivate us more I think! Dailymile is my favorite too! That's really the only one that I use! I just sent you a friend request! Never too late! We should be Jawbone friends. You should reward yourself with the Garmin before your marathon so you'll be able to use it for that!